Philip Henry Sheridan is widely regarded as one of the triumvirate of Union Generals (along with Grant and Sherman) who won the American Civil War. An often controversial individual, ‘Little Phil’ was a larger than life character who enjoyed a meteoric rise to high-command during the conflict. Joseph Wheelan’s new biography looks at the Irishman’s wartime-record but also explores beyond 1861-65 in an effort to examine Sheridan’s full contribution to American history. One of the oft debated aspects of Phil Sheridan’s early life is where he was born. Sheridan himself claimed to have been born in Albany, New York, while others claim him for Killinkere in Co. Cavan or state that he came into the world on board the ship which carried the Sheridan family to the United States. We will almost certainly never know for sure his actual nativity, but in any event this is somewhat immaterial. What is of more interest is how Sheridan viewed himself, and in this regard he remains enigmatic. Although he was undoubtedly an extremely patriotic American, his interaction with his ‘Irishness’ is harder to discern- it is often referred to purely with regard to his fiery temperament. Shedding light on this aspect of Sheridan was not within the remit of this volume, but nonetheless Wheelan’s book does have an interesting story to tell about other aspects of his life. 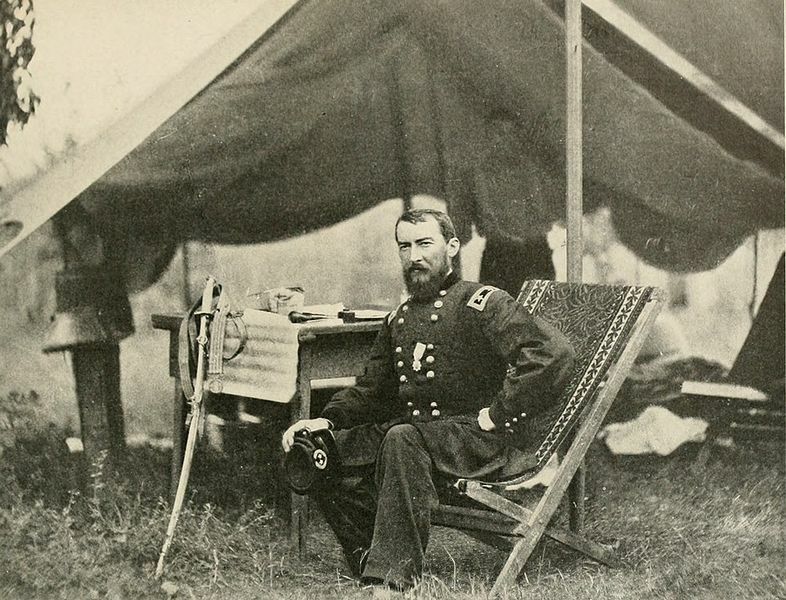 Phil Sheridan is one of the archetypal ‘controversial’ Generals of the American Civil War. He subscribed to Grant and Shermans views on executing a form of total war, and his destruction of the Shenandoah Valley in 1864 became remembered locally as ‘The Burning.’ More recently historian Eric J. Wittenberg in his book Little Phil: A Reassessment of the Civil War Leadership of Gen. Philip H. Sheridan cogently questions his ability as a cavalry commander, his military record in the Shenandoah Valley in 1864, his tendency towards disobeying orders and most convincingly his harsh treatment of men such as George Crook and Gouverneur Warren. In contrast to Wittenberg, Joseph Wheelan views Sheridan in a largely positive light and concentrates for the most part on the diminutive officer’s many undoubted talents, such as his exceptional capacity to motivate the forces under his command (illustrated to such legendary effect during ‘Sheridan’s Ride’ at the Battle of Cedar Creek). Wheelan starts his book with a review of Sheridan’s early years in Ohio, his turbulent time at West Point and his first experience of army life in Texas, California and the Pacific North-West. The bulk of the book deals with the Civil War years and recounts Sheridan’s impressive displays at Stones River and Chattanooga, the latter catching Grant’s eye and catapulting Sheridan into the mix for high command in the eastern theater in 1864. Grant would remain Sheridan’s greatest admirer for years to come. Little Phil”s actions against Jeb Stuart’s cavalry, his command in the Shenandoah Valley and his extremely impressive performance leading up to Appomattox are also explored and are familiar territory for many interested in the Civil War. Wheelan is to be commended for dedicating significant space in the book to Sheridan’s post-war career. Some tough assignments came hot on the heels of the conflict for Little Phil. As commander of the Military District of the Southwest in 1865 he had to deal with the threat of the French military presence in Mexico, while as Military Governor of the Fifth Military District in Texas and Louisiana he oversaw Reconstruction and took a hard-line against those whom he perceived as obstructing it, a policy that brought him into direct confrontation with President Johnson. Sheridan would later observe the Franco-Prussian War and rise to Lieutenant-General of the Army of the United States. That he was more than just the brutally efficient soldier of the Shenandoah and Plains Wars can be seen in his exceptional efforts to have the Yellowstone region preserved in what amounted to a personal crusade. This extended to sending in troops to protect the Yellowstone Park; they continued to operate it until 1916. Phil Sheridan’s personal life remains something we gain only glimpses of, such as his romance with a Native-American woman during his days in the Pacific Northwest and his marriage in 1875 to Irene Rucker. Much of the potential for a deeper insight into Sheridan the man was lost when his papers were lost during the Great Chicago Fire of 1871. As a result much of the accounts on which Wheelan draws are secondary, and the reader cannot help but be left with a desire for a deeper understanding of what made Sheridan tick. Despite this, Terrible Swift Sword is a useful overview of Phil Sheridan’s life, particularly in revealing what became of him in the decades after the conflict which made him famous. Wheelan, Joseph 2012. 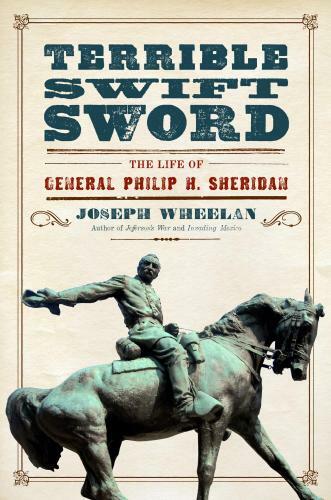 Terrible Swift Sword: The Life of General Philip H. Sheridan. 387pp. So very interesting.. I love Civil War History…I would definitely read this…thank you!!! Thanks Cheryl glad you found it of use! Hello ! =) Do you have informations about the Sheridan’s medal appeared in this photo, please ? I know that medals was created afther this war. Thanks for the comment- I don’t to hand but will see can I find out- in the meantime maybe some of the blogs’ readers might be able to help!